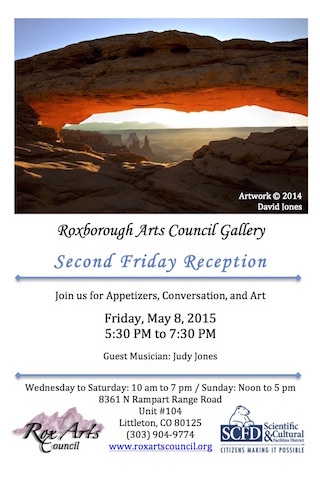 The Roxborough Arts Council will be holding its 2nd Friday of the month reception May 8th from 5:30-7:30pm at the Roxborough Gallery at the Marketplace. During this free event you’ll not only be able to shop local art but you’ll be able to meet the artists, learn more about the council and sign up for classes. The 14th Annual Community Garage Sale will be held on Saturday, May 9th from 8am – 1 pm. Roxborough Park residents will need to make a reservation in order to sell their items at the Village main park (please contact Ed Yeats at 303-904-4095 or ed.yeats@gmail.com). If you live in Roxborough Village, all you’ll need to do is simply open your garage door on May 9th and begin selling your items – there is no need to contact anyone as registration isn’t required. The 2nd Annual Shred-A-Thon will take place May 9th from 2 – 5pm in the RE/MAX Edge Parking Lot. It will be free to drop off your personal papers for destruction with a nonperishable food or gift card donation – donations will be given to the Roxborough Food Bank. ShredExpress will be shredding the documents on site. For more information, please contact Chad Bergman at 303-875-2240. The 7th Annual Rox Trot is a 5k and 10k run through beautiful Roxborough Park. On May 16th runners will make their way through the Park and around the iconic rock formations. All the proceeds from this race go to benefit Boy Scout Troop 670 and Havern School. All 10k runners will begin at 9am and the 5k runners will start shortly afterwards at 9:05am. A party and awards ceremony will conclude the race. Please click here to register.